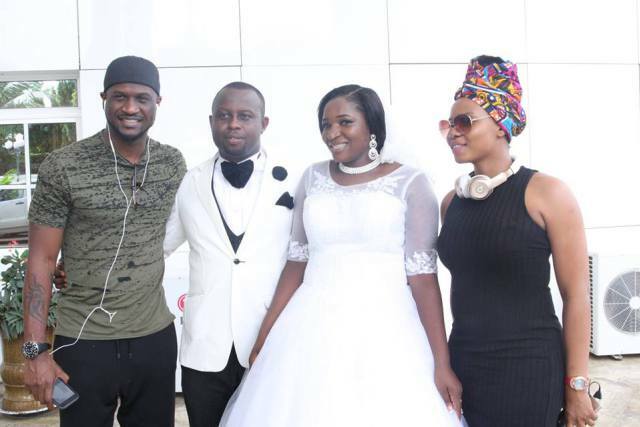 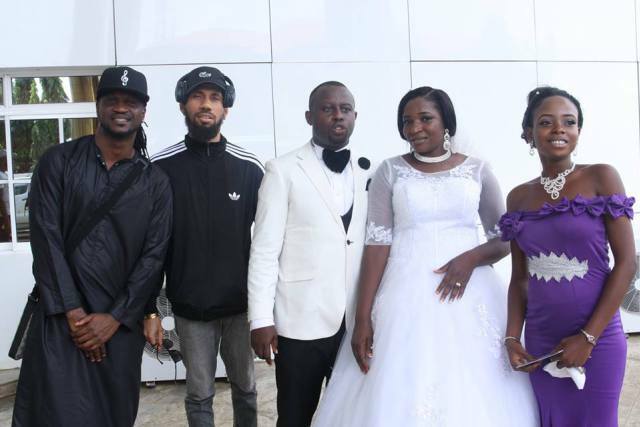 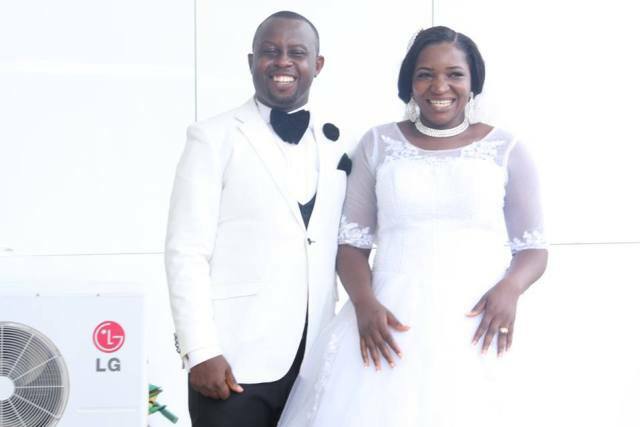 A couple in Owerri got a pleasant surprise on their wedding day after some top Nigerian Musicians gate crashed their wedding. 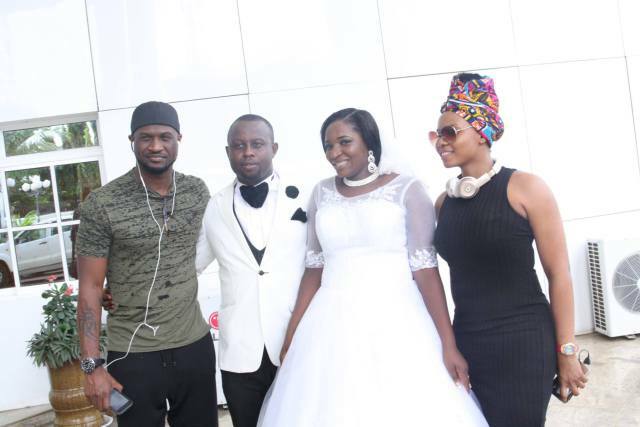 The excited couple identified as, Mr. and Mrs. Umelo were taking their wedding photos when the singers bashed in randomly and took photographs with them. 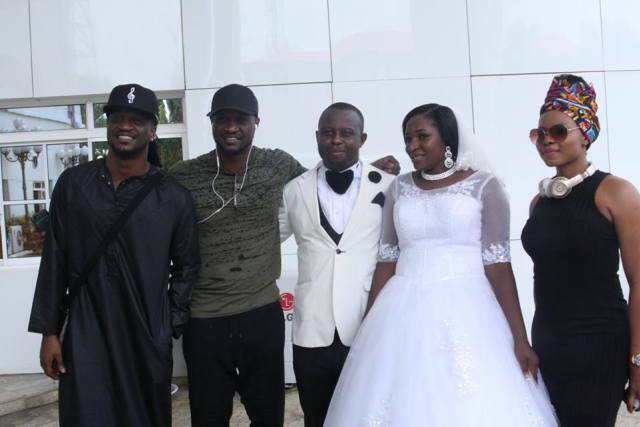 The excited couple were overjoyed and thanked the stars for making their day a really special one.